It can be confusing shopping around and looking at the cost of installing solar panels in Boise. You will probably realize that there are a lot of different prices out on the market. That is mostly because these days there are a lot of companies that just sell solar panels. Once the system has been sold they will take the contract and sell it to a solar panel construction company. Each company, the installer and the sales company each have a price they will charge in addition to the cost of materials. That means both companies wanting to make a profit on the same system. You can only imagine what happens to the cost of your solar system... You guessed it, it just went up considerably and you are the one paying both of them now! To make sure you get the best price on your system we handle the entire process in-house with trained experts. We do the planning, proposal, surveying, permitting, engineering, design, construction, monitoring, and service, and repair. Having it all under one roof is far more cost-effective. It allows us to keep the cost of installing a solar system in Idaho lower than our competitors! Which Boise Solar Panels Should I Buy? When people become aware of the fact that a lot of companies are only trying to sell them solar panel systems they come to us and ask what they should do. What is the best brand? which equipment will be best for my service? We can confidently say that we work with only the top solar panel brands. The solar panels we offer have the best guarantees and warranties in the industry. You will get the top-rated output per solar panel with stress and worry-free guarantee. We find it is best to recommend the type of brand and size of panels completely dependent on your needs and preferences. So we can’t really answer which one is better or worse it really depends on your budget and your needs. We are more than happy to answer any questions you have about panels and equipment based on your needs. Just give us a call or fill out our form for more info! Boise Solar Panel Savers is very good with solar installations. So good that our competitors have used us in the past to install their solar systems! We will gladly take care of this service for them because we know when we do it it is done right. If you haven't decided on what solar panels or equipment you want just yet we can help you in the buying process. Once we have determined your needs we can check on the availability of incentives and get you an accurate quote. Is the price right though? Trust us we make Bob Barker proud! When the price is right you will see the savings possible. Once you see the savings and are ready to go with solar. We would love to be your partner to help you install your home solar energy system. After solar panels are installed on your Boise home or building there is still the last step. You will want to hire a service to handle monitoring your solar arrays production. They will monitor the flow of electricity in your home and make sure the system is working properly. 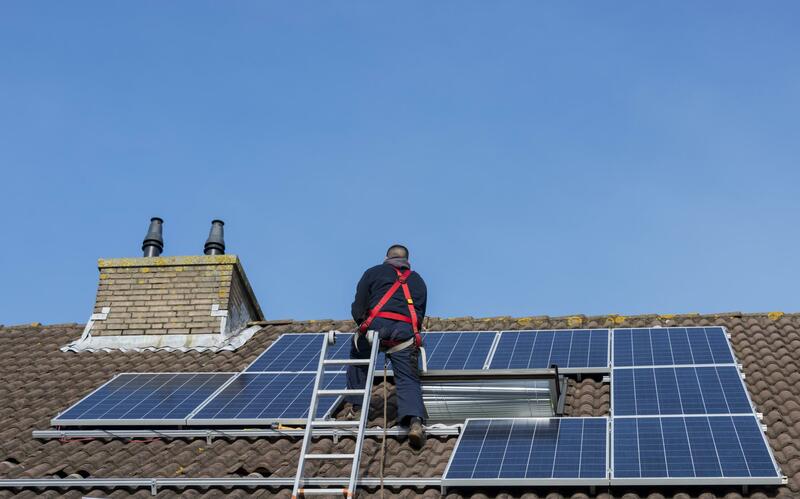 If there are ever any problems with your solar panels they will alert you so that you can get your panels repaired. It will also allow you to check on your warranty status. This is a service that we provide to our customers. We make it as easy as opening an app on your phone. From the app, you can see the health of your solar panel system. Do you already have solar panels up and running? If you are looking to get a company to monitor your systems we would be happy to hear from you! There is no one size fits all for the cost of installing solar panels in Bosie. As we have talked about the process can actually be quite complex. We know that a lot of people will not switch to solar powered energy just because all of this seems like a hassle. We are committed to providing the best and most accurate information. Meaning that we won't just throw out a price without first understanding what your needs are. We are more than happy to work with you to get you all the info you need to look into solar panels in Nampa, Meridian or Boise. Our promise is that we can provide less expensive installation costs and monitoring services. Companies that only sell solar panels just can’t offer these types of deals!